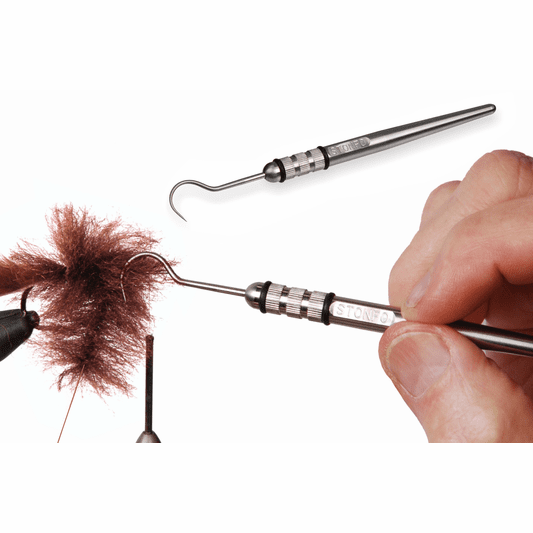 Stonfo�s U Shaped Bodkin Fiber Puller is an intelligently designed tool that can assist you in many different ways at the vise. This product is also known as the Stonfo Spillo Curvo Elite Bodkin. This tool makes it easier to pull trapped fibers while fly tying. 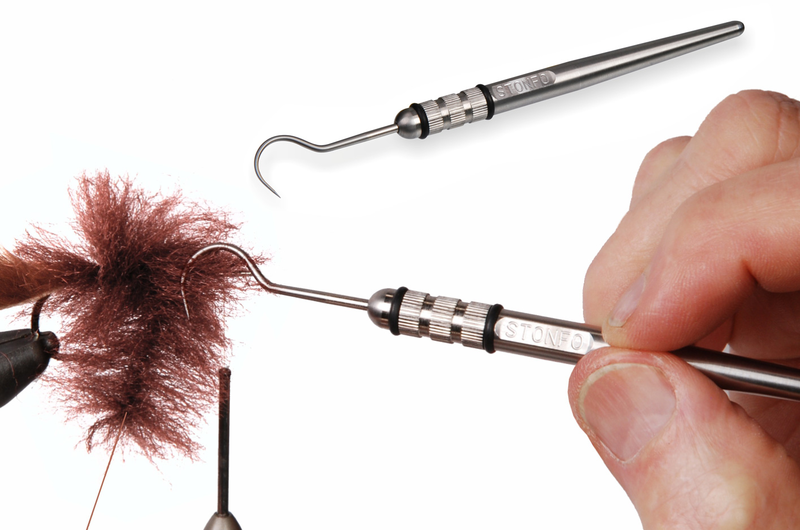 It is great for pulling trapped fibers while making dubbing loops, picking out fibers from palmering, or picking out heads on streamers and other patterns.